Just 47 percent of Californians receive coverage through an employer, leaving the rest of us to shop for health insurance on our own. If you’re a California resident seeking information about medical coverage, this guide is for you. You can obtain insurance coverage through private insurers as well as other government sources. California’s large healthcare market is as diverse as the Golden State itself. How Many Californians Are Insured? The total number of California residents with a subsidy-eligible health insurance plan remains steady, averaging between 1.2 and 1.4 million. Within the state’s population, uninsured people under the age of 65 dropped from 20 percent in 2014 to 8.5 percent in 2019. Despite these advances, about 3 million Californians still do not have health insurance. For many, unemployment and immigration status prevents their eligibility. Keep in mind that your favorite provider may not offer coverage to the entire state. For example, while Anthem Blue Cross covers a large portion of California, their service area does not extend to cities like San Diego, San Bernardino, and Napa. Funding will be a serious concern for California’s healthcare future. Uncertainty around federal policies has prompted legislators to explore state-based universal healthcare. Still, securing the level of funds currently provided by the government is a daunting task. 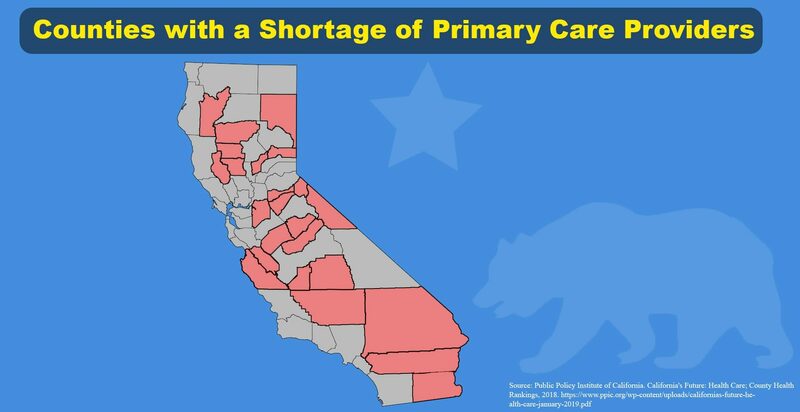 A more pressing concern for Californians is a shortage of care providers. Many areas do not meet guidelines that ensure residents have proper access to providers and primary care physicians (PCPs). Around 22 counties across the state fall below the standard of 60 to 80 PCPs per 100,000 residents. Over 5 million Californians receive financial assistance as a direct result of the Affordable Care Act (ACA). ACA plans are usually the first option you’ll explore when seeking healthcare coverage. 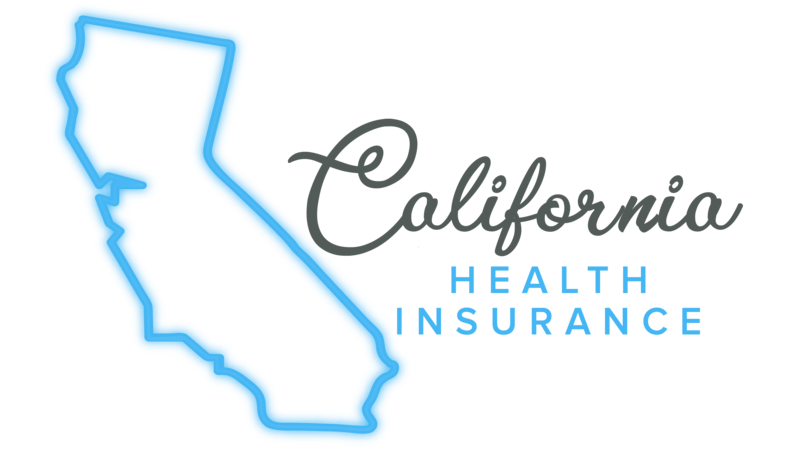 Keep in mind that age, location, family size, and household income can determine California health insurance premiums for your preferred plan. Obamacare covers the full range of essential health benefits required for medical insurance. These include emergency services, hospitalization, mental healthcare, and more. It is important to know that this plan does not cover medically unnecessary procedures, such as cosmetic or LASIK surgery. In 2019, monthly premiums for enrollees increased by about 8.7 percent, which is significantly lower than the 12.5 percent increase seen in 2018. About 87 percent of California ACA enrollees get help covering their premiums. Many also benefit from additional cost-sharing reductions (CSRs), available on silver plans, to reduce expenses like deductibles. You can use “metal levels” to compare similar Affordable Care Act plans. Each metal level pays for a different amount of your covered medical expenses. Bronze plans cover 60 percent of medical expenses. Silver plans cover 70 percent of medical expenses. Gold plans cover 80 percent of medical expenses. Platinum plans cover 90 percent of medical expenses. Catastrophic coverage is also available if you are under 30 or qualify for a hardship exemption. When Can You Sign Up for Covered California and Other California ACA Plans? Open enrollment, the yearly opportunity to enroll in an ACA-compatible insurance plan, begins on October 15 and ends on January 15 in California. If you have lost your health insurance, moved, gotten married, or had a child – among other circumstances – you may enroll at any time. Legislation passed in 2017 permanently extends health marketplace enrollment to 90 days in California, longer than any other state. While these health plans are usually available throughout the year, enrollment is not guaranteed and is dependent on your circumstances. Christian health plans, also called faith-based healthcare, allow people to share medical costs as a group. You or your family can pay a monthly fee that’s shared among members when medical issues occur. More than 20,000 California residents use faith-based plans to meet some or all of their health needs. Supplemental insurance fills in the gaps that your primary health plan may be missing. For example, if your current insurer does not offer dental or vision coverage, you can use supplemental insurance to address those areas. Plans can also cover short-term disability, accidents, or critical illnesses. Self-employed and small business insurance typically comes in the form of a high-deductible health plan (HDHP) coupled with a Health Savings Account (HSA). California disadvantages this somewhat by requiring taxpayers to add any HSA deduction back into their federal return. Similarly, small business owners can set up a health reimbursement arrangement called QSEHRA for employees to complement their individual health plans. This arrangement is employer-funded and reimburses employees for out-of-pocket healthcare expenses. Military health insurance in California is provided by Veteran Affairs and TRICARE West. VA medical services cater to those discharged due to disability or other hardship. TRICARE health insurance plans enroll active duty and retired members of the military. Both options offer comprehensive medical coverage, but where TRICARE requires enrollment fees and monthly premiums, VA does not. As of 2017, there are over 184,000 members of the military in California. In 2018, the California legislature passed SB 910, a bill that prohibits the sale of short-term health insurance plans that do not follow Affordable Care Act protections for consumers, provide coverage for people with preexisting conditions, or offer standard benefits. The ban went into effect as of January 2019, causing about 10,000 California residents to lose their short-term plan choice. There are many facets to Medicare, each with their own requirements and benefits. Original Medicare (Medicare Part A and B) covers a wide range of services for Californians over age 65, including hospital stays, hospice care, outpatient services, medical supplies, and preventative care. 40 percent of Californians on Medicare are enrolled in Medicare Advantage, also known as Medicare Part C. This plan replaces Original Medicare with private insurance coverage that may include fewer doctors and additional benefits. Kaiser, Aetna, and UnitedHealthcare are among the leading Medicare Advantage companies in California. If you are looking strictly for prescription drug coverage, Medicare Part D provides a solution. Additionally, the federal program Extra Help, also called Low-Income Subsidy, extends to people with Part D or Medicare Advantage. This service assists with paying deductibles and copayments. You may qualify for free Medi-Cal insurance if your income is low. Medi-Cal is California’s version of the national Medicaid program. More Californians can apply for Medicaid than ever before. In 2013, California chose to expand Medicaid coverage to adults making between 100 percent and 138 percent of the federal poverty level. As a result, Medi-Cal now covers roughly one-third of the state population. In 2015, Senate Bill 4 further extended eligibility of Medi-Cal programs to all children in California under the age of 19 who do not have legal immigration status. These individuals are entitled to the full scope of Medi-Cal benefits in counties where coverage is available. At present, Medi-Cal serves about 13.2 million residents, and the federal government covers 93 percent of the cost for new eligible enrollees. You are a U.S. citizen or qualifying immigrant. You do not qualify for Medicare. You have an annual income that is at or below 138 percent of the Federal Poverty Level (FPL). Current or former foster care youth under age 26 are eligible for Medi-Cal benefits. The official poverty guidelines update yearly, so the following figures may change over time. It’s also important to remember that Medi-Cal counts both earned and unearned income towards eligibility. This means total annual income includes assistances like Workers’ Compensation, VA benefits, and spousal support. As of 2019, individuals who are 19-64 years old and at 138 percent or below the FPL qualify for Medi-Cal. This means your total annual income cannot be more than $17,236 if you want to receive benefits. The total income requirement for Medi-Cal eligibility increases by $4,420 for each additional member of the family or household. For example: A family of four that makes $35,535 or less annually would qualify, while a family of three would qualify at $29,435 or less. Applying for Medi-Cal is a simple process Californians can complete online, through the mail, or by visiting a local enrollment center. While Medi-Cal offers year-round enrollment, you must meet certain conditions to enroll. Since the California legislature eased requirements in 2014, Medi-Cal enrollment has increased by 50 percent. Several initiatives and services are available through California’s Medicaid system. One such program is Every Woman Counts, which provides free breast and cervical cancer screenings. EWC focuses on education, early detection, and prevention for those who need it most. In addition, a comprehensive healthcare plan for pregnant women, known as the Medi-Cal Access Program or MCAP, offers coverage with no copayments or deductibles for everything from prenatal care to delivery and postpartum. MCAP fees are a small percentage of a family’s income, which participants can pay off over 12 months. You can use the following resources to find information specific to your location and circumstances. To help determine what medical coverage is available to you, the CMSP provides contact information for social services offices in thirty-five counties throughout California. This makes it easy to communicate with local health departments to learn what benefits you qualify for and how to apply for them. On-campus health services contribute to the physical and emotional well-being of students. Most California universities require students to have insurance coverage. For example: if you’re a University of California student, you may be automatically enrolled in the UC Student Health Insurance Plan UC SHIP. Through this option, you can visit the campus health center and receive medical, dental, and vision care. However, students can waive school-provided coverage and opt for a different insurer altogether. To protect California residents, the California Department of Insurance regulates state-based healthcare programs. The CDI oversees insurers, licenses brokers and agents, and investigates fraud.